Originally published in 1907, as part of the Cambridge Physical Series, this book presents the content of a series of lectures delivered at Cambridge University during the Lent term of 1903. 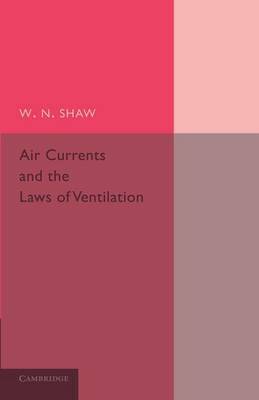 The text discusses the physics of ventilation in buildings, dealing with the physical principles of air circuits and ventilated space before moving on to the application of physical laws to practical ventilation. This book will be of value to anyone with an interest in ventilation and the history of science.